Review by AllTheBestFights.com: 2015-09-25, fight not particularly good between Joey Beltran and Kendall Grove: it gets two stars. Joey Beltran entered this fight with a pro mma record of 16-11-0 (81% finishing rate) and he is ranked as the No.38 middleweight in the world. He lost to Emanuel Newton last year (=Newton vs Beltran) but he came back to win in 2015 winning over Brian Rogers. His opponent, the black belt in Bjj and Tuf 3 winner Kendall Grove, has a record of 21-15-0 (71% finishing rate) and he entered as the No.51 in the same weight class but he comes off the loss against Brandon Halsey (=Halsey vs Grove). 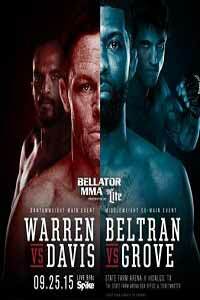 Beltran vs Grove is on the undercard of Joe Warren vs LC Davis – Bellator 143. Watch the video and rate this fight!